Best GameCube Emulator for PC, Android, Mac and Linux. Do you want to play Nintendo GameCube Games on your Computer and Smartphones?. Then, this article might be helpful for you. To find out some best GameCube emulator for PC and Android devices. No matter how many good video games are available these days. But, Playing old console games is still fun. The GameCube is a home video game console developed by Nintendo in 2001. First, it was launched in Japan and North America. Later, it launched for Europe and Australia in 2002. And, it was the first console, to use optical discs as its primary storage medium. Though, the system wasn’t designed to use full sized DVD and Audio CDs. GameCube only supports mini-DVD. Well, To play GameCube games now you don’t need to spend money. Your computer and Android devices are capable to run those games. All you need is a good emulator. If you have reached on this article accidentally. Then, chances are high that, you might don’t know about the emulator. 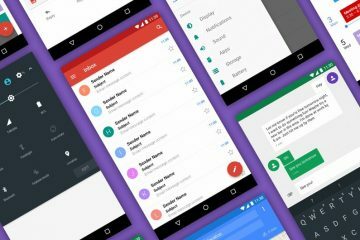 In computing, Emulator is kind of software, that enables one Computer system to behave like another system. Basically, It enables the host system to run the software, that is designed for the guest system. 1 Best Gamecube Emulator for PC. 1.6 Conclusion. 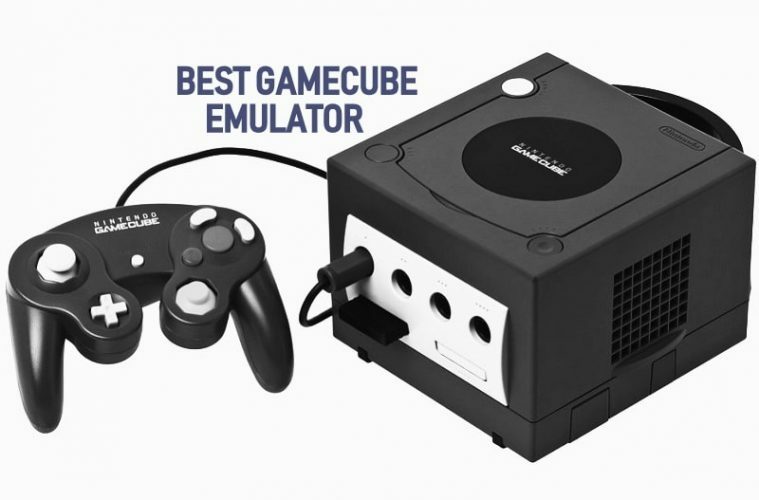 – Best GameCube Emulator. Best Gamecube Emulator for PC. 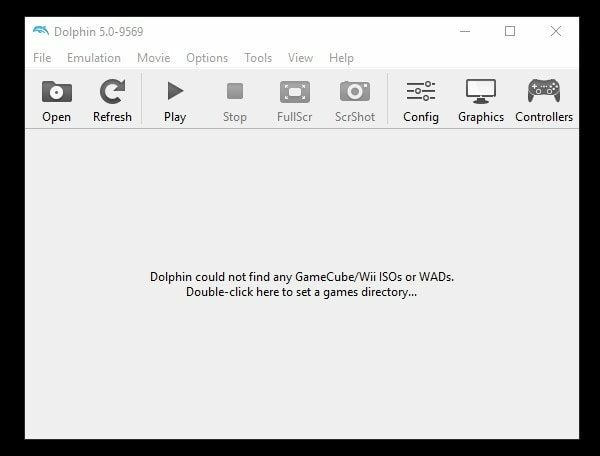 Dolphin is an emulator for Nintendo’s two video game consoles: Wii and GameCube. Well, this article is about, best GameCube emulator. So, we will talk about only that. 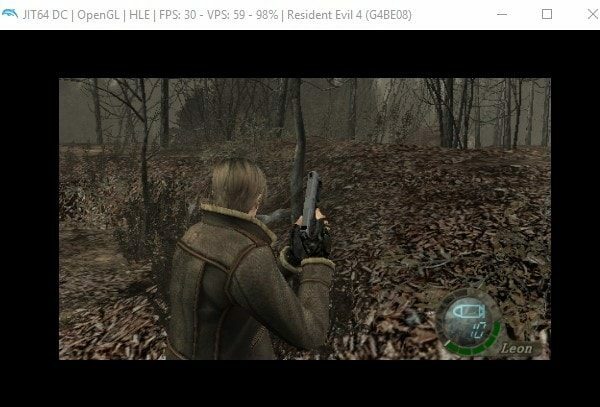 This emulator allows PC users to play GameCube games at Full HD. It’s available for Windows, Mac and Linux OS. Also, if you’re an Android user, then you can download APK from their official site. The emulator allows the user to use their PC controller to play GameCube Games. You can configure your controller, by going into Controllers section. In this emulator, there is an OpenGL Graphics Configuration section. That helps to play Games in Improved graphics than the Original Console. Also, an option like show FPS and V-Sync available. With the emulator, you can also take a screenshot between Game. The emulator also does support Netplay. That will allow you to connect any GameCube game for online play. You can also save and reload a game state. The development of this emulator is still running. So, you can expect more features in the future. This emulator can run almost all GameCube Games. But, still, there is a game list available on its official site. I suggest you check it once. How to play GameCube Games using Dolphin Emulator?. 1. First, Download Zip file of Dolphin Emulator from the official site of Emulator. 2. Now, Extract it using 7 Zip Software. Or, you can use any other Zip Extracting tool. 3. 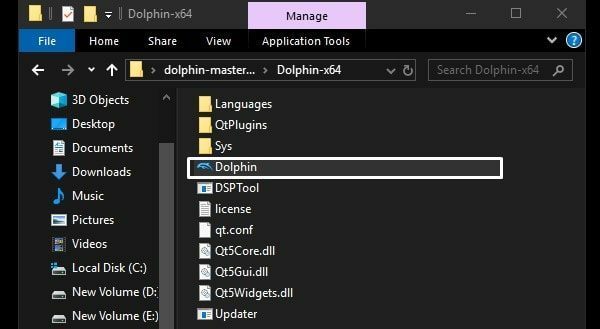 Open the extracted folder, and run “Dolphin” application file as administrator. 4. Dolphin emulator will now get open. To run any GameCube game in it. Click on Open button, and select Game ISO File. That’s it. Now, the game will start running immediately. After the Dolphin Emulator, this is the best GameCube emulator that is worth trying. Though, the development of this emulator is completely stopped. But, the source code of this emulator is available on its site. So that, other users can use it to develop this emulator better. The emulator doesn’t support ISO files. It only supports *.dol *.elf and, *gcm game files. The emulator is developed in C++ language. 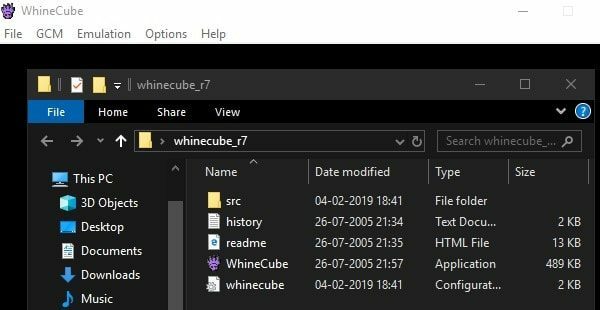 WhineCube emulator doesn’t support commercial games. It only supports few games by HomeBrew. The emulator isn’t flexible like Dolphin. Though it’s pretty fast, and you can configure controls for games. The emulator comes with an interpreter, dynamic compiler and a primitive HLE system. To run any GameCube game in this emulator. Go to File > Open. And, then select the game, that you want to run. 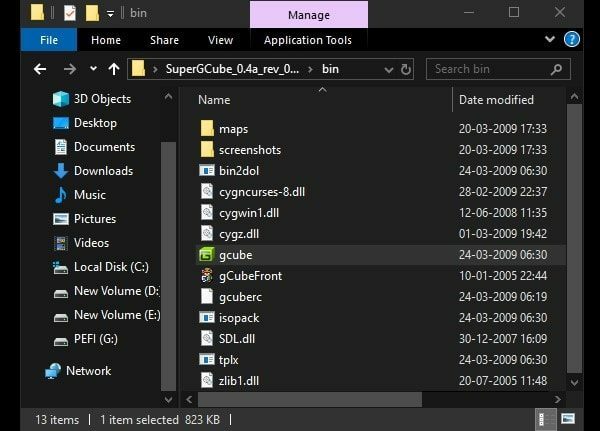 SuperGCube is a Win32 GameCube emulator. 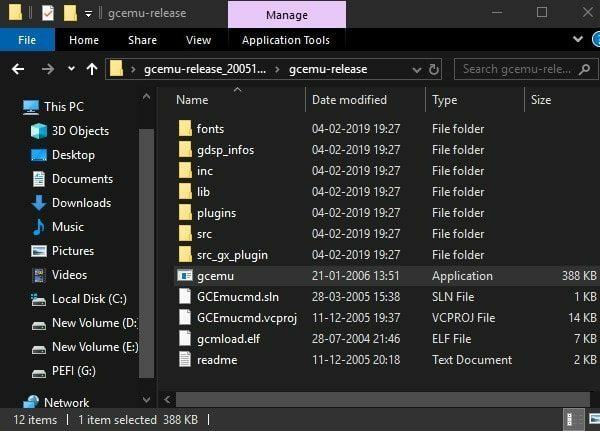 This emulator is based on the discontinued version of GCube. Because of its highly-optimized emulation core, the emulator can archive reasonable speed. Development of this emulator has closed a while ago. That’s why this emulator does not work in the 64-bit system. So, if you have a very old computer, then this emulator is for you. Else you will not able to run it in your system. But the best thing is, this emulator can run few commercial games. So, the SuperGCube emulator does support ISO files. Well, I can’t say it is the best GameCube Emulator. But, still, you can try it in your old system. Though, it is available only for Windows. It is a very old and incomplete GameCube emulator, developed in 2005. Means, the development of this emulator wasn’t complete. The emulator is still in beta state, and no one working on it. Though, download link of this emulator still available on some sites. 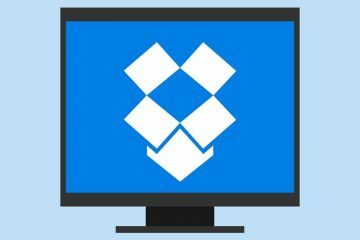 It also uses recompilation techniques, to archive reasonable speed. The emulator is only available for Windows. And, for game ROM, you need to browse other sites. The emulator can run a few game titles. But, still, you will face few bugs and crashes. Well, don’t expect any future update from this emulator. But, you can try it, if other emulators aren’t working for you. Well, from the name, it sounds like copy version of Dolphin emulator. But, actually, it isn’t. This Dolwin emulator for Nintendo’s GameCube is based on Power PC derivative processor. Dolwin is designed in C language and it uses techniques such as interpreter and just in time compiler. The emulator also does support high-level emulation based on hardware speed. This emulator also can run some commercial games. Conclusion. – Best GameCube Emulator. So, these are the emulator that will allow you to run GameCube Games on your Computer. Though, the only emulator that is currently under development, that is Dolphin. This emulator can run almost all Games. Though, if you have a 32-bit system then you need to try some other emulator. But, if you’re looking for a fully working emulator then, Dolphin is the best choice. 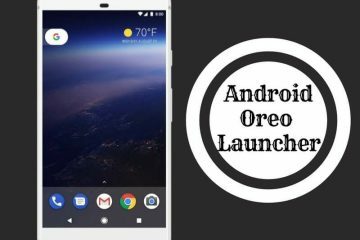 Previous ArticleBest VR Player Apps for Android to Watch VR Content. 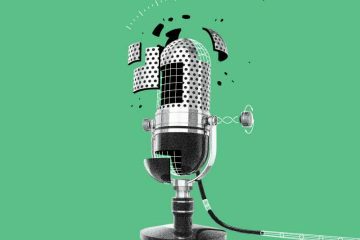 Next ArticleFix – Front Audio Jack not working in PC. Best Nintendo DS Emulator Android and for all other Devices.